We’ve built our practice and our reputation on a creative, professional and service-oriented team. As custodians of that tradition, our senior management leads a staff that has been selected expressly for their skills, creativity, passion, tenacity and ambition. As Hayball expands into new markets throughout Australasia, Tom champions the importance of supporting clients competitively and creatively. 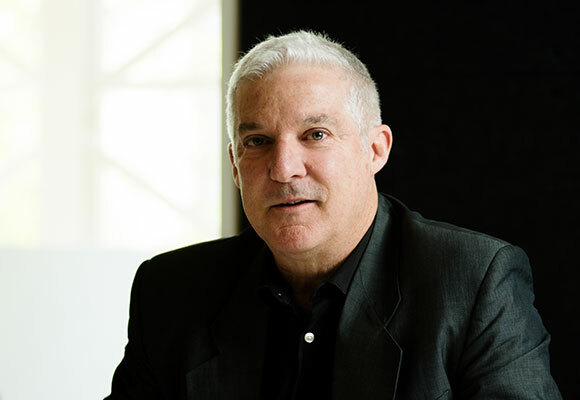 His key interests are in architecture and urban design, and the commercial acumen with which he leads the practice infuse Tom’s strategic and design leadership of large scale architectural and urban renewal projects. Tom invests in understanding the full breadth of a client’s business objectives, whatever that business is, and regards this as integral to a holistic approach for the thoughtful and sophisticated design outcomes he sets the standard for. He’s always wanted to be an architect, and continues to be excited by the profession’s capacity and responsibility to create outstanding places. 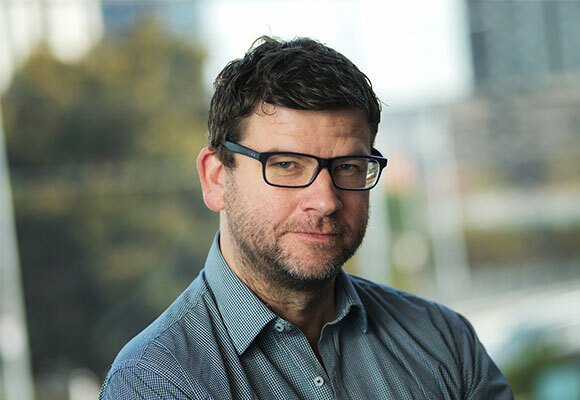 In advocating for architecture’s contribution to urbanisation and the public realm, Tom has served as a chapter councillor and on award juries for the Australian Institute of Architects, and on design review panels for state government. The learning experience of thousands of school kids is all the richer for it. 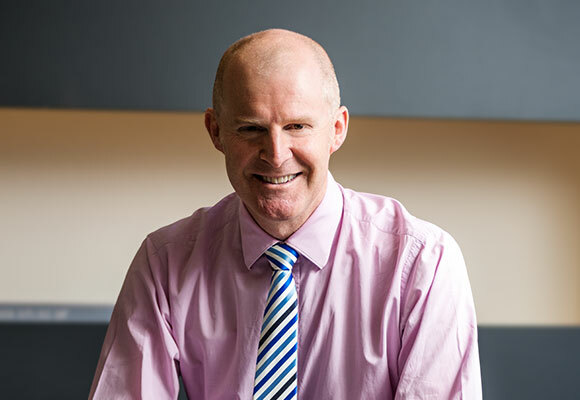 With over 30 years’ experience in Australia, New Zealand and the United Kingdom, Richard’s expertise in helping schools integrate modern education philosophies into the design of new educational facilities is unsurpassed. 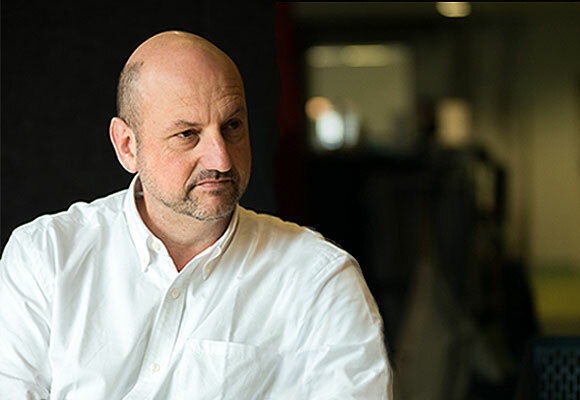 Providing design leadership to support contemporary models of learning, Richard champions collaborative and research-driven design, and regularly collaborates with leading education design specialists. 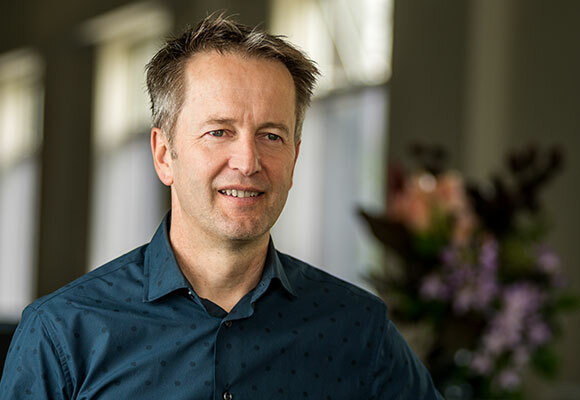 A Past Chair of Learning Environments Australasia (A4LE), whose mission is to improve the places where people learn, Richard continues to be actively engaged with the association at regional and international level. With a deep understanding of residential planning and design from more than 35 years’ experience, Len’s encyclopaedic knowledge of residential markets remains central to our value as designers today. Before forming Hayball in 1983, Len was the managing director of Gunn Hayball Architects, a firm renowned for the design of innovative housing across a variety of densities and dwelling types. In the 1990s he was at the forefront of the rise of interest in Melbourne’s inner city housing, when former industrial buildings were earmarked as potential housing sites, and projects such as the Riverside Apartments foreshadowed inner urban renewal and significant changes in housing trends. Len has also been pivotal in shaping the ongoing commercial viability of the practice. He spearheaded Hayball’s employee share ownership scheme, aimed at boosting the firm’s resilience during tough economic times, and has been a mentor to many at different points in their careers. An accomplished and influential communicator, Sarah’s passion lies in advocating at all levels for great design and successful places. With her interest in exploring the future form of our cities, Sarah is at the forefront of the feasibility and design of large-scale residential and mixed use developments, and leads urban design and major renewal projects including the masterplanning of new communities. 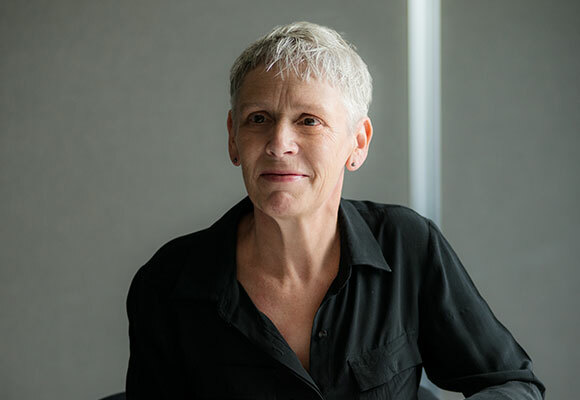 Her scope of influence extends to broader industry and government where she has helped shape planning policy through successful negotiation and advocacy, and her expertise is regularly sought for government advisory panels and strategic urban projects. Within Hayball, Sarah’s mentorship and championing of workplace diversity and flexibility are advancing the professional opportunities and development of our staff. 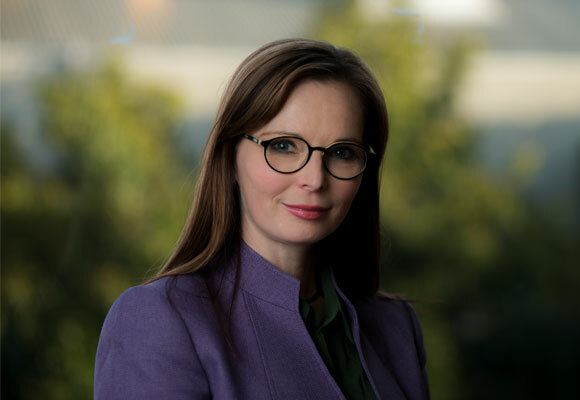 Her investment in Hayball’s organisational structure and culture ensures that our people are valued and supported as they develop their careers. With experience across a variety of projects from shopping centres to aged care facilities, stadiums and sporting complexes through to bespoke homes, Luc is a driving force in the success of the firm’s technically demanding institutional and large-scale residential projects. Formative years in the construction industry forged a strong understanding of how to practically apply the theoretical and it’s this that makes Luc’s contribution to projects invaluable. For Luc, a project’s success hinges on a holistic approach ensuring the uncompromised essence of the original design vision. Achieving the robust and sculptural design within budget constraints, the award-winning redevelopment of Carlton’s Canada Hotel into student accommodation remains one of his proudest. 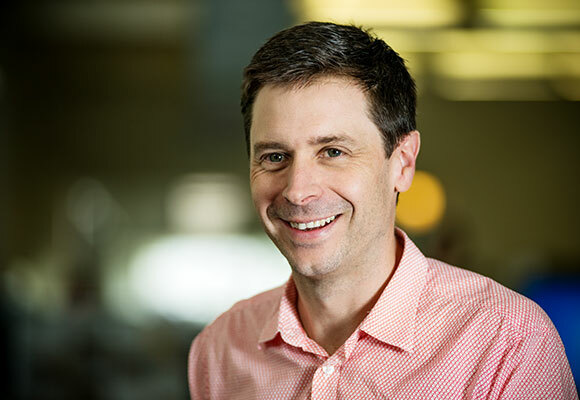 Currently running multi-residential projects in Melbourne and Brisbane, Luc is also responsible for the practice’s internationally-certified quality management system. And he exemplifies our practice ethos, honouring the generosity of colleagues, in their time and sharing of knowledge and experience. A clear and influential communicator, David is highly adept at assimilating multiple viewpoints to distill what will provide the most benefit to end users. 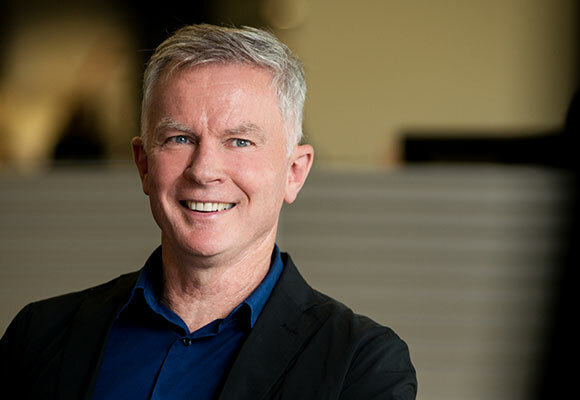 He leads cross-disciplinary teams in the delivery of projects involving complex governance and stakeholders, including the award winning Library at the Dock (with Clare Design) and La Trobe University’s Eastern Campus Redevelopment. As a child in Hong Kong fascinated by the models in her architect uncle’s design firm, Ann was hooked early on architecture. With an abiding interest in how design quality at every scale can shape and enhance human relationships, Ann is a versatile designer who loves nothing more than pushing the boundaries of traditional typologies with dynamic and integrated solutions. Working from within, she is also heavily invested in Hayball’s design culture and the structure of an entire project team to draw out the best from our people. Teaching design and leading design studios over many years instilled the fundamental importance of how we work – it’s a structured, disciplined approach that underpins technically exquisite and confidently executed design. Tapped on the shoulder when he won the Australian Institute of Architects’ student prize for outstanding design work, Eugene joined us a graduate. Exemplifying the support for career progression at Hayball, he’s now a Director playing a pivotal role in the early stages of new projects, where his ability to swiftly uncover a site’s possibilities dovetails with his strong design talent. Born in Singapore, Eugene speaks Mandarin which he learned at school. It’s a skill that helps him to work directly and comfortably with international clients, whose needs he understands well from his cross cultural experiences. Eugene distils design, commercial planning and technical information and makes it readily clear, working with clients in a continual dialogue throughout all stages of a development. The conversation can go late into the night, and often over a whisky. Bianca leads Hayball Interiors – a team dedicated to designing elegant and marketable schemes that stand the test of time. Having worked as an architect for developers in integrated design and development, she has an acute business acumen and relishes the challenge of balancing requisite time and cost restraints with quality design outcomes. Turning a concept into reality and for it to be more than just a building is one of her greatest satisfactions. Human-centred design, liveability, beauty – these are her primary considerations in making spaces feel as good as they look. Her experience across all phases of the architectural process is invaluable; she understands an entire building and how everything fits together. A natural communicator, Bianca invests in lasting relationships for ongoing client-designer collaborations, with a deeply held creed to understand clients well to know what’s suitable for their projects. She approaches each new project with an involved briefing process and remains dedicated to a project’s needs as it unfolds, faithful to the end. With a natural affinity for managing large and complex projects, David is an accomplished project leader. 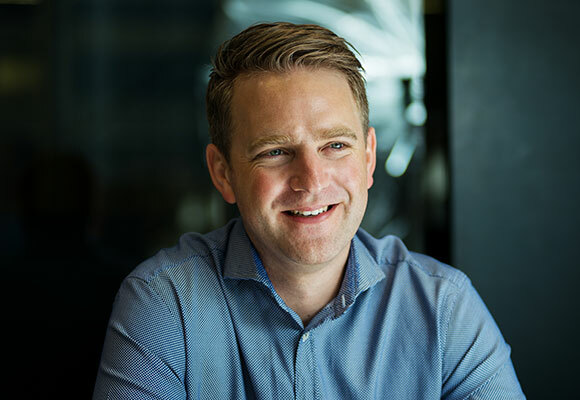 He plays a pivotal role in client liaison and skilfully leads projects and teams with a communicative approach that is clear, organised and collaborative. He is passionate about driving innovative solutions which add value and create better outcomes for all stakeholders. David has a keen interest in materiality with a focus on the use of timeless natural materials which he combines with an ordered approach to spatial planning and a high degree of technical understanding of how to design and make buildings. Fiona is an architect and researcher in the field of learning environments. She has previously worked as an exhibition designer within leading cultural institutions including the Museum of Arts and Applied Sciences (MAAS), the Australian Museum and the Museum of Wellington City and Sea in New Zealand. 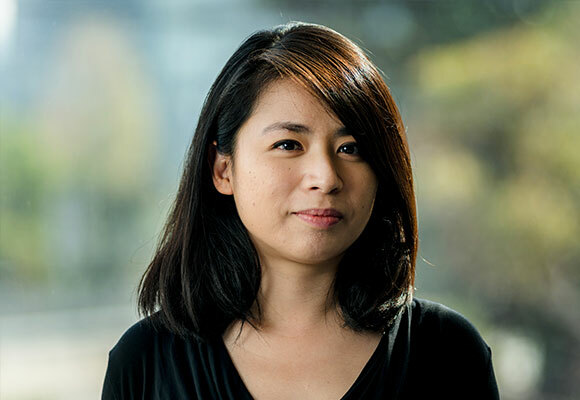 Fiona is a PhD candidate at the University of Melbourne researching learning environments, and a Studio Director at Hayball in Sydney where her focus is on schools and GLAM sector projects (galleries, libraries, archives and museums). Core to her role is enhancing learning opportunities through design, and interpreting and bridging understanding between educators and architectural teams. Fiona has extensive experience in workshop planning and facilitation, briefing and master planning. 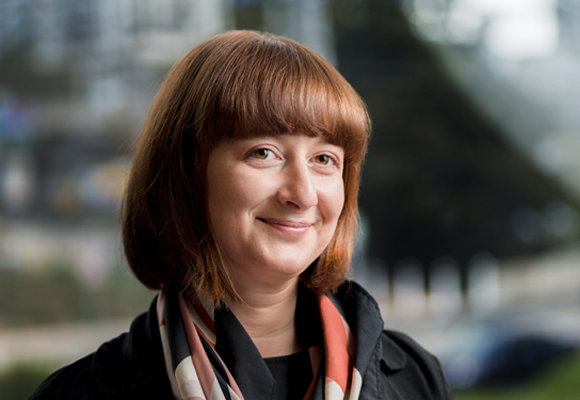 She has successfully developed and facilitated the community consultation process for multiple projects, and engaged leadership teams, staff, students and the broader community in the design process. 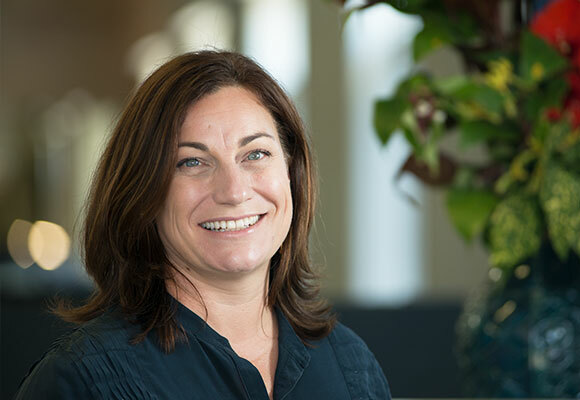 Fiona is a past Chair of the NSW Chapter of the Association for Learning Environments and has held various roles within the organisation at chapter, regional and global levels. David’s design talent and management potential were recognised since he first joined Hayball as a graduate. After several years honing his skills overseas, he returned to take up a leadership role in Melbourne. 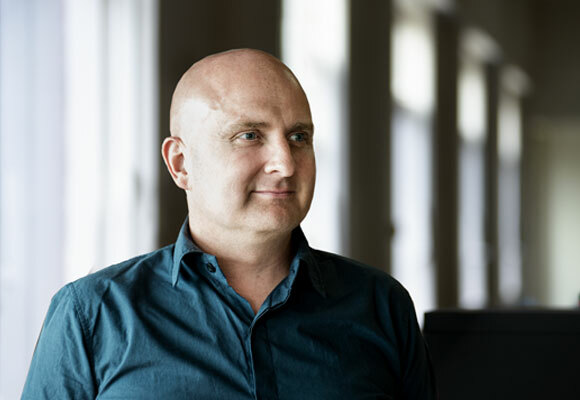 With expertise in large scale multi-residential, hospitality and mixed-use projects, he skilfully manages design teams and complex stakeholder interests to provide outcomes that are creative, intuitive and value conscious. David designs projects that respond to their context, taking inspiration from and responding to their climate, surroundings, history, and site conditions. He is also excited by design thinking that enables a project to reach beyond its immediate location and influence its surroundings and the architectural conversation in a broader context. When it comes to Hayball’s design ethos, David is an enthusiastic advocate and contributor. His holistic leadership style is key to achieving the truly collaborative conversation that exists between studios and within project teams. 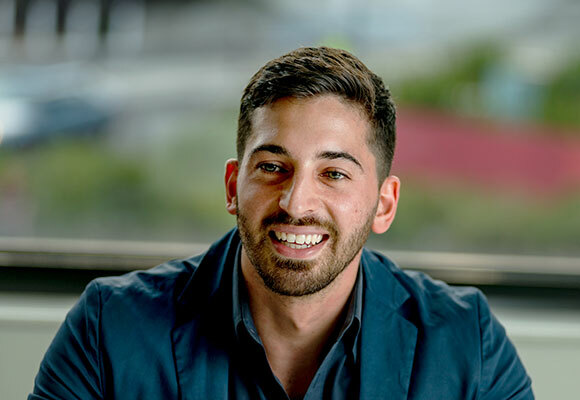 Whether it’s a design workshop, special project or competition, David works closely with design leaders to strategically drive and promote initiatives across Hayball’s design processes and culture. Thomas is an accomplished project leader who has led projects ranging in value up to $3 billion and across sectors including masterplanning, mixed use, retail and multi-residential. He is at the forefront of the ‘next generation’ of student housing, characterised by a shift that sharpens the focus on spaces for students to connect with each other and be supported by social interaction. Thomas began his professional life working on bespoke homes – formative projects where detail and precision were imperatives. Having honed those skills on large scale multi-residential projects in Melbourne, Brisbane and Adelaide, Thomas helps steer Hayball’s pioneering investigation of material systems and environmental analysis using digital and prefabricated technologies such as CLT (cross laminated timber). With BIM Manager Rob Marcen, super complex digital tools are manipulated to reach a high level of design resolution and quality for hundreds of apartment homes. Graham treasures the breadth and scope of experience that have opened to him through architecture. From the early days of his career, he embraced the challenges and opportunities to meet and learn from so many people, to stretch himself, to be creative, and to rethink conventions. 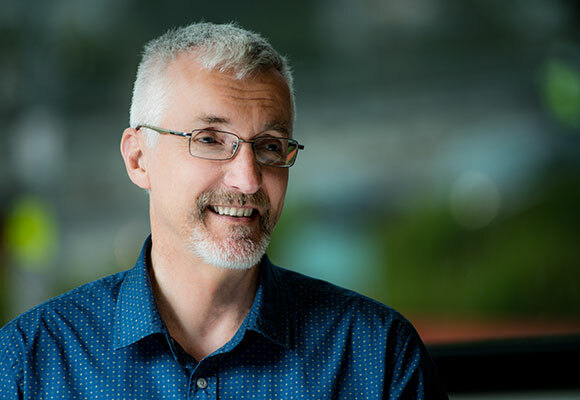 Graham’s area of special expertise is within the field of education design, and his passion for the ever-evolving pedagogical landscape, master planning, libraries, and re-lifing projects is unparalleled. 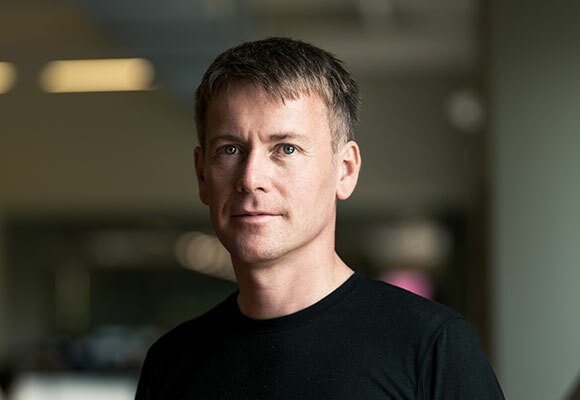 Founded on his ability to listen, a deep love of collaborative design, and an enthusiasm for holistically sustainable ideas, Graham’s approach reflects Hayball’s commitment to innovative design solutions, technical expertise, strong client relations and industry leadership. 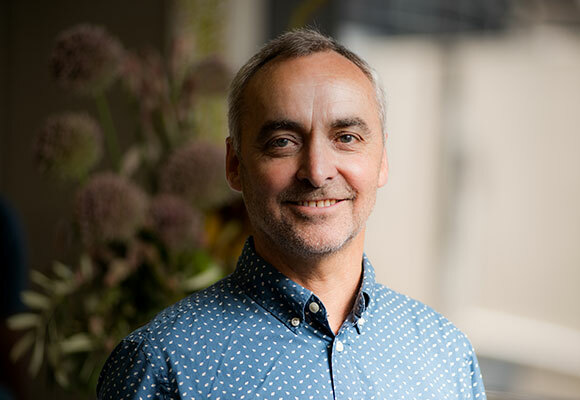 Graham drives the discovery process that fuses pedagogical aspirations with architecture to collectively deliver new teaching experiences and assist clients in the transition to learner-centred environments that emphasise learning rather than teaching. Greatly respected for his ability to truly understand a client’s needs and aspirations. Endlessly fascinated by the culture and context of projects and how best value can be realised, he relishes constructively challenging convention and developing narratives and designs of deep meaning. In the studio, Graham is a generous mentor, culture-focused and inclusive. His knack for invigorating others with genuine enthusiasm actively champions a collaborative mindset and inspires design thinking, knowledge-sharing and connection. Harry has been an enthusiastic member of the Architectural industry for more than two decades and has worked on both sides of the construction contract; project managing built work for contractors as well as leading large architectural teams in design, documentation and administration of landmark projects across residential and educational sectors. 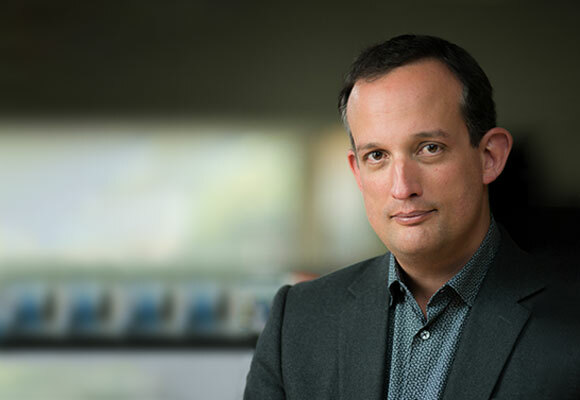 Harnessing the practice’s large-scale delivery expertise and combining it with a refined knowledge of contemporary education design, Harry is instrumental in leading major programs and multiple-site projects. Generosity of knowledge and managing professional development is something Harry believes is paramount to a healthy practice and fostering strong relationships. He provides leadership across strategic resourcing and facilitates our professional mentoring strategy to support and promote excellence in project management and delivery to achieve exemplary design. 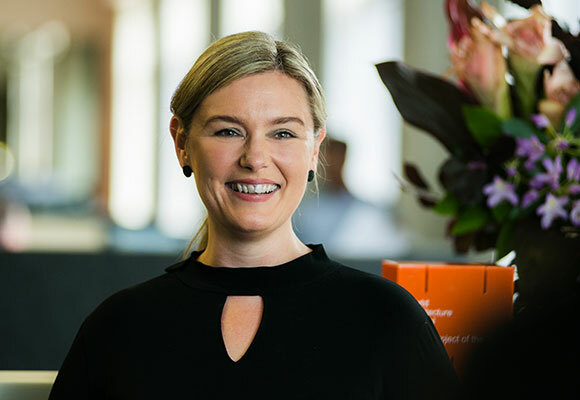 With an intrepid spirit and strengths in management and executive leadership, architect Liza Ringdahl is the senior education leader in our Brisbane studio. Liza applies research and neuro-scientific principles in her passionate exploration of design to influence learning and working experiences. Her interest in neuroscience and the cognitive benefits associated with a ‘sense of place’ adds exceptional value to workplace design, and education design for improved learning outcomes. One of Liza’s most important values is working collaboratively. Hayball has a long involvement in innovative and finely crafted architecture that is sustainable to site and place, bearing the mark of Rob’s contribution to design direction over many years. And while his experience spans an immense variety of projects, housing is what he’s drawn to. 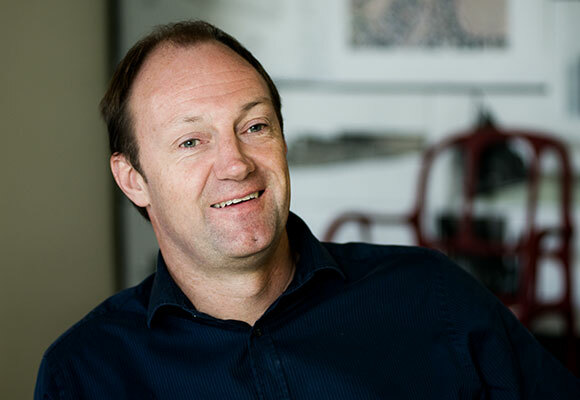 A passionate contributor on issues involving the shape and direction of the urban environment, Rob is a keen advocate for design culture and the architectural profession. 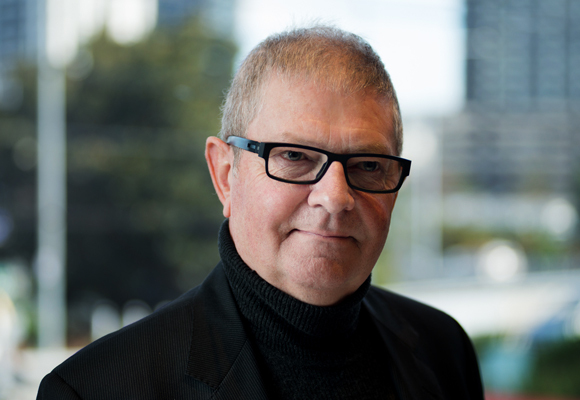 He has served on numerous government and professional bodies and is a past president of the Victorian Chapter of the Australian Institute of Architects. 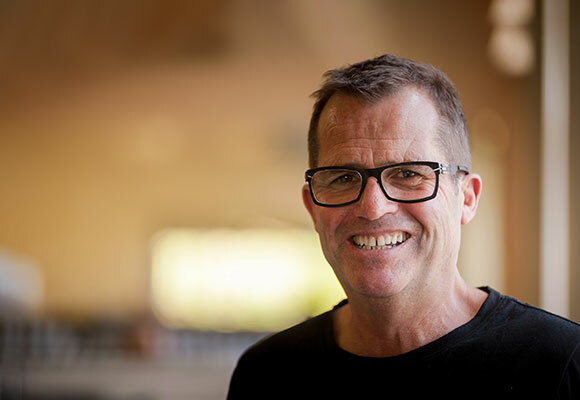 A committed humanitarian, Rob has participated in international missions assisting post-disaster reconstruction of devastated infrastructure and communities, and led Hayball’s pro bono project for Architects Without Frontiers, the Maningrida Welcome Precinct. Tammy is a vital contributor to the finance and management teams. Trained in architecture, and highly experienced in finance management, her strength lies in the resolution of business imperatives with other aspects of architectural practice. Through the efficient use of comprehensive accounting systems and utilisation reporting, Tammy has spearheaded strategies to increase efficiency and create a disciplined and professional business environment. Drawing on the years spent in her former role as Finance Manager, Tammy now works closely with business manager Cameron Frazer, the directors and project leaders to ensure that the financial aspects of a project work. From the assessment of fee proposals and consultancy agreements to the definition of project scope and programs, Tammy’s focus is the alignment of project budgets with the costs of skilled resources. Working closely with practice manager Tammy Tzlanlis, Cameron’s focus is on improving Hayball’s ‘single studio’ operational efficiency to support the practice’s national growth and expansion into new markets. 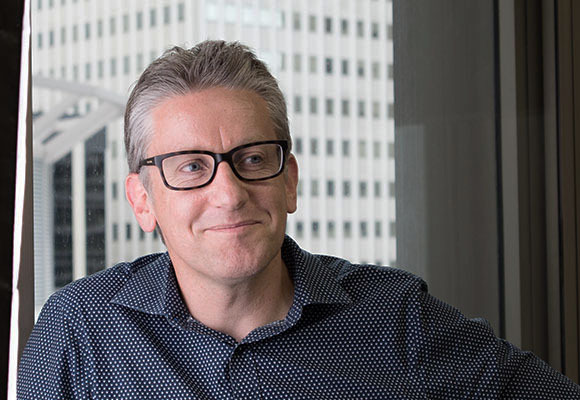 Himself a registered architect, Cameron’s professional life diversified when he followed a path into infrastructure management, launching a career in executive leadership roles across the commercial, government and not-for-profit sectors. He combines his built environment background with stakeholder, people, finance, management and strategic thinking skills, and leads for impact and positive change. Anthony’s experience in the building industry and architectural profession spans more than 25 years. His expertise lies in the technical detailing of large-scale and complex projects, and it is because of this that he is often “parachuted in” to work on challenging projects. Technical detail driven by design-led thinking is his passion. With a strong focus on technical performance, Anthony coordinates large multidisciplinary teams to bring a building to fruition. Most recently he led the delivery of Carey Grammar School’s new Centre for Learning & Innovation. With that same sharp eye and plain speaking aplomb, he is also responsible for implementing Hayball’s ISO-certified Quality Management System. With an emphasis on client satisfaction, the system ensures quality in project and service delivery across Hayball’s design platform. What’s buildable? How can we deliver that? In boundary-pushing design, Rob’s technology skills make all the difference. Rob is a specialist in BIM documentation and delivery. Coming from a tech-savvy family (his father was an ‘early adopter’ and pioneer of Australian electronic engineering), technology and IT are in his blood. And with equally strong interests in fine art and scientific endeavours, architecture is where his interests can converge. Rob was instrumental in developing our Revit platform for optimal architectural application and as BIM Manager he directs the processes and management of BIM models throughout the office. He is a skilled architect with vast project delivery experience in a number of market sectors including multi-residential, education, retail and hospitality – it’s the combination of Rob’s detailed knowledge of the entire architectural process and technical dexterity that enables such a rich understanding of modelling requirements to efficiently produce a project’s deliverables. Inspired by an article on education design by director Richard Leonard, Owen joined Hayball to pursue what has become his area of expertise in education masterplanning and design. Education is a dynamic sector, subject to constant evolutionary change, and Owen thrives on the ongoing challenges that architects and education designers need to keep up with. Driving every project is his abiding interest in understanding how people relate to one another in a learning environment – and supporting those exchanges and interactions through design. 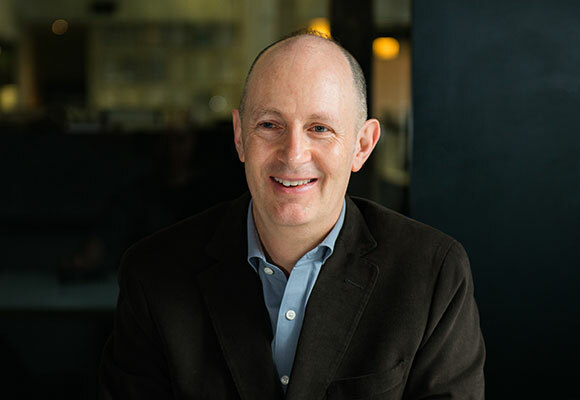 Renowned for the strategic planning and coordination of major education projects, Owen is an accomplished manager of complex consultant teams and diverse stakeholder groups. 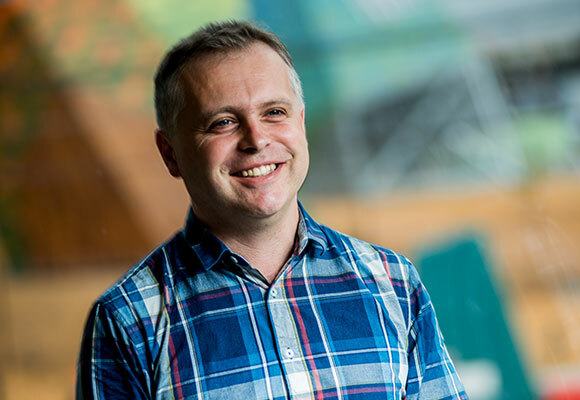 He is currently the senior project leader on South Melbourne Primary School, delivering a new model for a multi-level inner urban school integrating shared school and community facilities in Australia’s largest urban renewal precinct. A senior interior designer with a signature ability to ‘lift the lid’, Miranda deftly uncovers a project’s real needs and objectives. The skill is in listening and observing for a deep level of understanding about what’s actually important, and translating abstract ideas into original interiors schemes with tangible benefits. Energised by its social value, collaborative opportunities and the varied nature of her work, Miranda specialises in workplace interior design and education settings – early learning, primary and secondary through to universities. Notable for the shift towards activity based design, continual change and design challenges are part of the appeal. A valuable member of Hayball’s senior leadership, Paris consistently demonstrates a strong, calm and considered leadership that fosters communication and collaboration. He invests time in creating positive working scenarios with both clients and colleagues, and builds solid ongoing relationships by investing time in creating an inclusive design process. A thoughtful and collaborative problem solver, Paris believes that the most successful built outcomes are the ones that clients own through their active and valued participation in the design process. Delivering civic and education-focused buildings where design excellence and economic mindfulness go hand in hand is what drives Paris and allows his methodical approach to deliver optimal results. He is an accomplished project leader across a wide variety of building sizes and locations, steering large and complex projects safely to fruition. Recently, this included a number of important BER Government stimulus program projects. Paris Demonstrates a generosity of knowledge sharing and inclusiveness; trusting and encouraging his team to develop their skill sets and aspirations. He also contributes a sound knowledge of cost effective construction, and rigour to consultant coordination within all projects he leads. He has broad experience in design documentation, urban planning and contract administration, ranging from residential developments to commercial, health and education facilities. Paris also has experience in contract negotiations and preparation of documentation for a range of public and private organisations and bodies including Heritage Victoria and Development Victoria, experiences which have led him into a mentoring capacity within Hayball’s Melbourne studio. Specialising in large urbanism, regeneration and masterplanning schemes, Rennie thrives on creating public places that surprise and delight. Typically, as on the Studio Nine Redevelopment Masterplan and University of Canberra Urban Plan, he gets involved early to establish design direction to achieve great place making opportunities. Originally from London, it was during his early career on various English and European projects that he developed his curiosity for the spaces between buildings, where urban activation can be intensified. Rennie has developed an academic career in conjunction with practice and since 2005 has led design studios at the University of Melbourne. 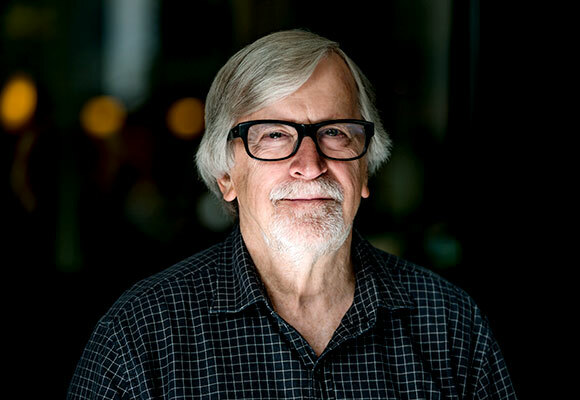 With a foot firmly in both teaching and practice, he is well connected to contemporary ideas affecting Australian urbanism and architecture, particularly those grounded in research. Combining knowledge and passion, Rennie’s mastery of collaborative design produces unique outcomes that could arise nowhere else. This often means a departure from what a client knows, and one made with confidence because the design limits have been tested and the opportunities distilled. Double degrees in Architecture and Property and Construction laid the foundations for a professional career steeped in knowledge of commercial construction systems, and expertise in delivering buildings where design excellence and commercial success go hand in hand. Integrity infuses everything James does, who works with clients and consultants across all phases including development of design and detailing, through to delivery. His approach is simply to be fair and use every opportunity to improve a project’s design. As a project architect, he flourishes with the challenge of taking an arbitrary idea and translating it into a buildable design. 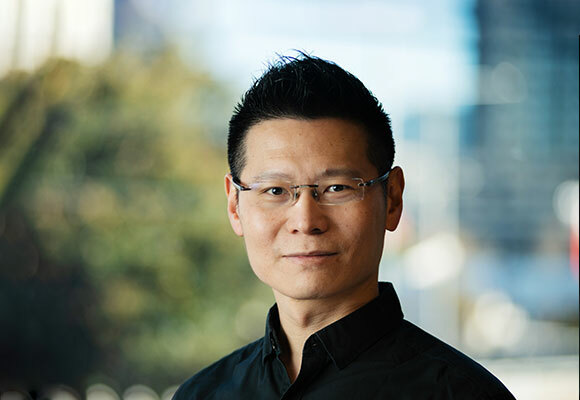 His ultimate satisfaction is the execution of a building on site, and he’s particularly proud of the award winning Canada Hotel Redevelopment for student accommodation, the Community Hub at the Dock and the 55-storey MY80 apartment tower in Melbourne’s CBD. Andrew is an accomplished project leader with an array of experience on education, master planning, mixed-use and residential projects. With excellent design skills matched by in-depth technical knowledge of building techniques and materials, his strong interests in high rise design and prefabricated building components find expression in projects such as the 62-storey Empire Apartments. Signalled by his enjoyment at school of design and technology, wood technology and metal work subjects, he always had a sense a creative career was for him. He thrives on building good working relationships in a collaborative environment with his team, clients, stakeholders and consultants to set projects up for success. Accomplished in both design and delivery, Yuyuen takes project leadership to another level with consummate communication of design thinking and quality relationships with clients and consultants. A keen collaborator, she enjoys using a range of tools – hand sketches, 2D and 3D diagrams, visualisation and physical models – to explore a design idea and carry it through. 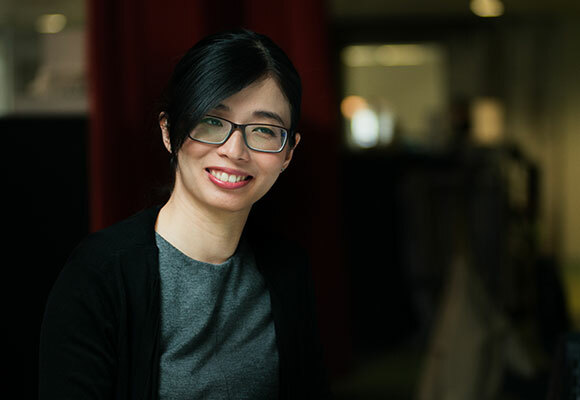 Yuyuen was lured to Hayball by our work in student accommodation and an office culture which is connected and supportive. 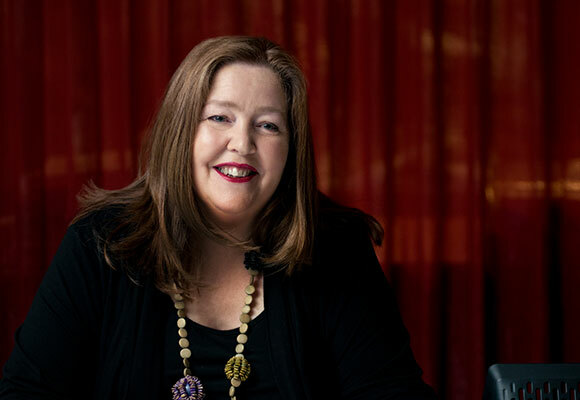 Since joining us nearly 10 years ago, her talent and adventurous spirit have catapulted her across a range of projects: from schools, the masterplanning of town centres and large scale urban developments, medium to large scale residential projects, through to mixed-use community buildings – most recently the Community Hub at the Dock in Melbourne’s Docklands. Yuyuen loves nothing more than to push the design edges in a crossover of typology. The prospect of producing compelling design that excels in every way and does everything it has to do, internally and externally, is what sustains David’s enjoyment in architecture. Having worked as a design manager for developers, as a developer himself and in architectural practice, David’s experience from different standpoints results in a keen appreciation of balancing project cost with high quality outcomes. His insight to commercial issues and the drivers from other parts of the development business gives him a unique understanding of how design can optimise other aspects of business such as sales and marketing. He gets involved in a project’s early stages; much more than a site’s feasibility, David tests how well it can be made to work, making his contribution to projects invaluable. His strong belief in the value of an ‘inside out’ design approach means he keeps the people he’s designing for at the heart of the process. The rapid advancement of science, technology and culture. The unexpected collision of ideas. These are what inspire Alex, a talented, forward-thinking designer whose signature is a willingness to bring fresh thinking to every aspect of practice. Unbiased by convention and with an aversion to taking the path of least resistance, what he’s very good at is the visual communication of design ideas, sketching and the rapid iteration of ideas in a rigorous pursuit of a successful concept. It’s the job of good design to make people’s lives better but it doesn’t just appear – it’s a creative struggle to balance the constraints of budget, conditions and expectations which, for Alex, are all part of architecture’s attraction. Embracing new technologies and tools that help manage the complexity of constructability and project delivery, Alex spearheads Hayball’s research and uptake of new software. With Rennie Liffen, he facilities a monthly staff forum exploring esoteric architectural questions. Ever the provocateur. 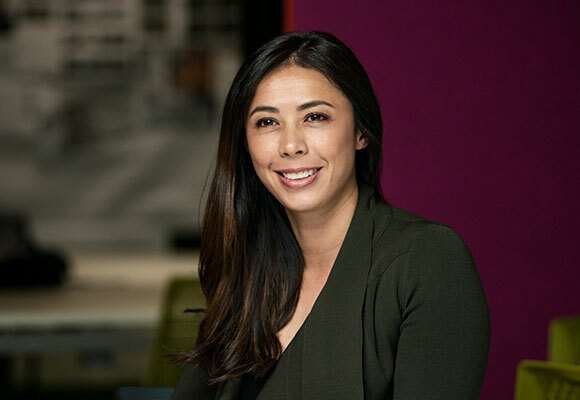 As she develops further as a project leader in the education sector, Marissa is excited more and more by the strategic side of design, and relishes negotiating the many drivers to be mediated in achieving a coherent result. A genuine, straight talking and down-to-earth approach is Marissa’s signature style. Working closely with clients to fundamentally understand who they are, how they work and what they want, she thrives on working across all phases of a project where the end-to-end involvement affords the development of strong, trusting relationships. Marissa’s always been a designer – a maker, a crafter. Architecture is where her creativity comes together with considered thinking, problem solving – the pragmatic part of achieving strongly resolved, constructed outcomes. It’s one thing to visualise a design, and something else to make that reality. 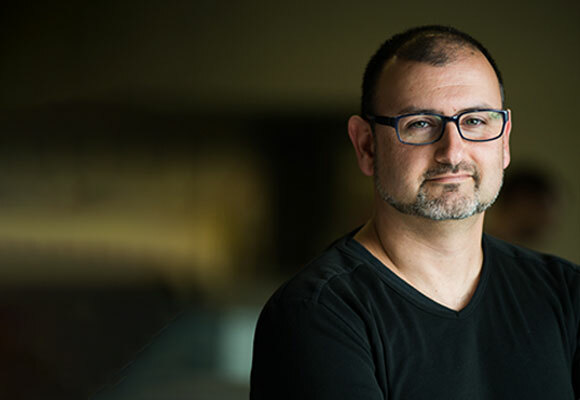 As an architect who bridges the two, Robert Mosca combines a strong sense of design, strategic thinking, attention to detail, clear communication and interpersonal skills in professional relationships. Hayball architects stay on the job until a building opens, designing their way out of the issues that inevitably arise during construction. With a strong work ethic, Robert has always enjoyed the challenge of a problem – big and small – and logically working through it to resolution. In design, he has a perpetual appreciation of how the careful consideration of a space can make a difference to how people use and enjoy it. His is the thirst of a problem solver, quenched by collaborative investigation and the transformation of an idea into a tangible result. Erin is an award-winning Architect whose enthusiasm for bringing human experience and scale to the forefront of architectural and urban design is realised via her comprehensive understanding of existing patterns of activity and spatial experience. She draws on a broad range of project experience gained across a number of typologies and sectors including commercial and mixed-use developments, leisure facilities, multi-residential developments, student accommodation and bespoke single dwellings as well as large and complex urban renewal projects. Combining technical knowledge with creativity to bring a positive experience to end users and the public drives all Erin’s work. She takes pride in effectively and efficiently achieving high quality design outcomes that are also commercially viable. An influential negotiator in the management of complex consultant and stakeholder groups, Erin relishes the challenge of maximising project opportunities to produce positive feasibility and planning outcomes and designs that exhibit a focused understanding of form, space and aesthetic. Erin is both passionate and thorough, qualities that allow her to effectively communicate and forge long-term trusted relationships with consultants, contractors and clients, designing spaces that respond to requirements as well as aspirations, enriching user experience, and evolving design ideas to fruition through meticulous attention detail, drawing, virtual modelling and research. Erin’s field of special interest lies is at the intersection of design and development. While In New Zealand, Erin worked in a multi-disciplinary capacity, on projects that incorporated both architecture and property development. This time allowed her to gain a valuable understanding and insight into building projects from a developer’s perspective, and has proved immensely beneficial when working with developers, allowing Erin to utilise her understanding of the developer mindset, motivations and priorities. A collaborative and approachable leader, Erin drives her team to exceed expectations. She is single-handedly responsible for reviving and re-launching the GROW program, developing, supporting and educating upcoming industry leaders within Hayball. She is an active mentor, providing a supportive framework that fosters career development in younger and emerging architects within the practice. Kerlina joined Hayball in November 2013 and has, over the last five years, flourished as a Project Leader, Architect, Program Coordinator, Presenter and Mentor. Establishing her expertise in education, Kerlina is an attentive and thoughtful leader who brings a real sense of method and practicality to her work. Her keen interest in understanding and fulfilling user requirements, means that Kerlina champions a genuinely collaborative approach to design – one that engages the client’s needs to develop design solutions which can be rigorously applied at all scales of a project for a well-coordinated and integrated outcome. 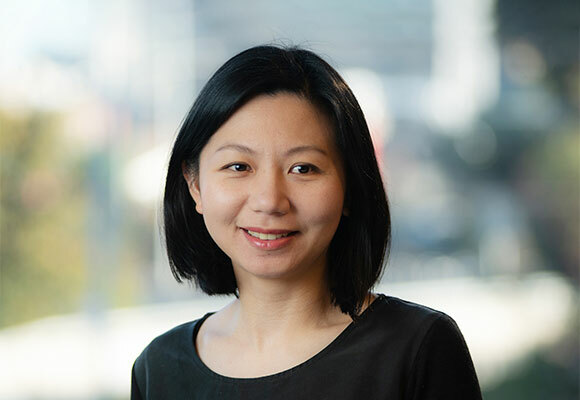 Some of Kerlina’s notable projects have included the Footscray Learning Precinct, St Peters College, and Mooroopna Kindergarten, a collaborative pro-bono project that Hayball recently delivered for Save The Children. Kerlina, is persistent in her pursuit of the best outcome on every project she works on and is absolutely committed to delivering above and beyond client expectations as well as ensuring a fundamental alignment with the aspirations of the wider team and her design ethics and ethos. Relishing the challenge of working through complex issues in the resolution of well-considered and high-quality design responses, Kerlina provides a sustained involvement throughout all project phases, from initial client briefing and concept design to completion and post-occupancy. She leads design and consultant teams with a communicative approach that is clear, organised and collaborative. Recognised for always finding time to share knowledge, answer questions and help others, Kerlina’s generosity and high care factor make her a truly invaluable mentor to our younger cohort. Alongside her key project achievements, Kerlina successfully revamped Hayball’s Practice Makes Perfect Program to better support the learning and development of our graduate staff. This has received excellent feedback and an increase in numbers of graduates pursuing registration. 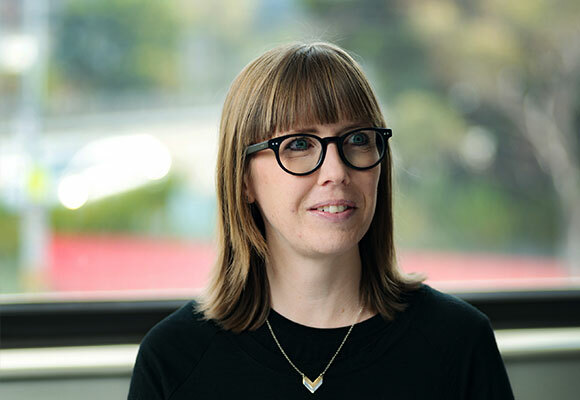 Heidi possesses over 15 years of in-depth architectural experience gained on projects throughout the United Kingdom, Singapore, New Zealand and Australia, bringing a unique scope, passion and range of knowledge to her work at Hayball that benefits every project she works on. From an initial spark lit by an inspirational sculpture teacher who encouraged her passion for making objects and using materials, Heidi’s focus now reaches beyond design into driving, motivating, and developing people within project teams, a focus that allows her projects to achieve excellence in both design and construction, within tight time frames and budgets. With a natural affinity for the strategic management of project teams, Heidi engages meaningfully with people, fostering a collaborative, enthusiastic and determined atmosphere across her projects and the practice as a whole. Heidi relishes solving the challenges that go hand-in-hand with realising successful design outcomes and delivering optimal project outcomes. 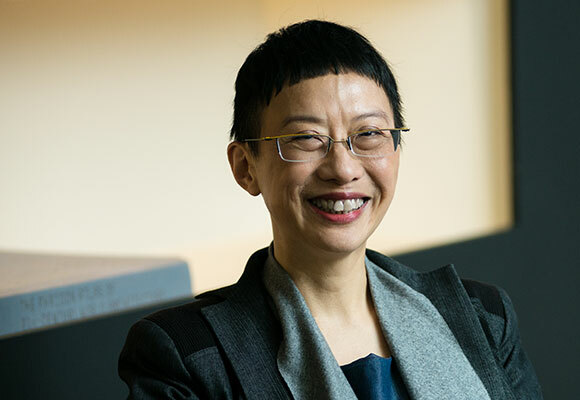 She has been instrumental in the delivery of a range of large scale, complex and award-winning buildings, which to date have focused primarily on higher education teaching and research facilities, as well as public, and mixed use urban regeneration projects. It is on these large and complex where Heidi really comes into her own, harnessing complex requirements alongside a refined design sensibility without compromise. Some recent projects include The Charles Perkins Centre at the University of Sydney which delivered the first superlab in Australia; Tyree Energy Technologies Building at UNSW, the first 6 star Green Star laboratory building in Australia, and the striking Auckland Art Gallery – WAF winner Building of the Year. Above all, Heidi is an accomplished and thoughtful problem solver with an innate ability to work through and around an infinite number of variables to swiftly and smartly provide resolutions that manage cost, client expectation and design intent elegantly, effectively and efficiently. A design-focused member of the Hayball leadership team, Kit’s work has won a number of prestigious awards including the Australian Institute of Architects NSW Architecture Award. Her work is pragmatic, bold and emphasises user-centric design. 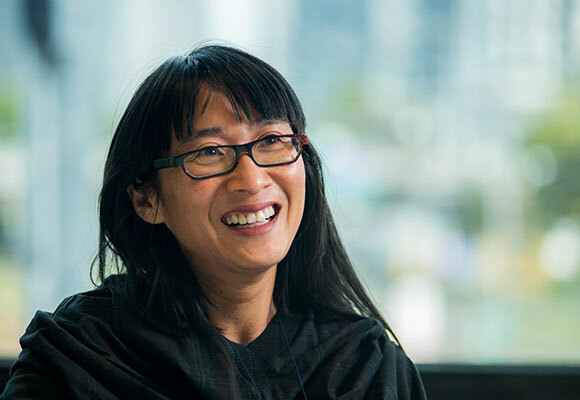 Her role within the practice as a leader and mentor, coupled with teaching positions at various universities, reflects the genuine interest and joy she has in developing emerging architects. Kit is highly experienced in the design and delivery of large scale public and education projects ranging in value up to $250 million. She has led a diverse range of projects including schools, libraries, museums and joint use facilities. She is adept at building and developing strong rapport with clients and her expertise in complex stakeholder engagement ensures user-centric design is achieved. Kit is also a strong advocate for designing purposeful spaces both indoor and outdoor, to enable seamless and organic connection between the user, built form and the wider urban fabric. With a philosophical approach mixed with pragmatic expertise in design management and project delivery, Yip optimises the buildability of multi-residential, mixed use and retail projects of all scales while ensuring their design intent remains intact. 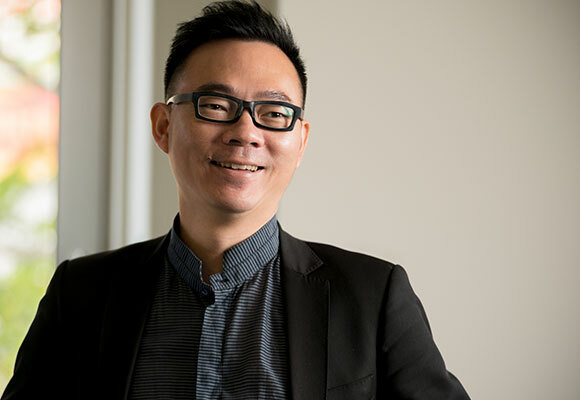 Drawing on more than 15 years of in-depth architectural project experience across Melbourne, Singapore and China, Yip is passionate about unearthing innovative solutions which add value and create better outcomes for all stakeholders. He skilfully leads projects and teams with a communicative approach that is clear, organised and collaborative. 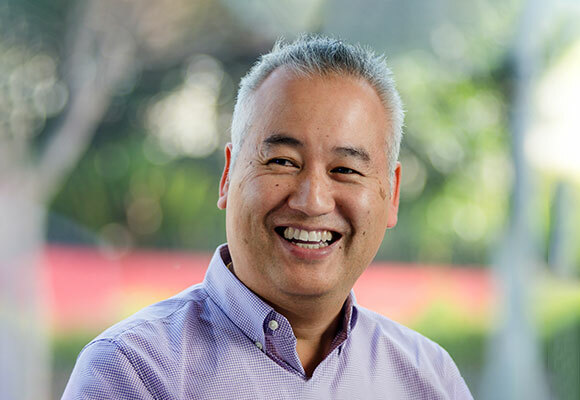 Yip plays a pivotal role in client liaison, with his inherent understanding and skill in facilitating engaging dialogue, he champions the needs of local and international clients alike. This invaluable proficiency allows his projects to progress seamlessly and allows Yip to provide key guidance to facilitate site procurement interests and give localised advice to international clients. Laura is a talented architect with a special knack for creative problem solving. She has a wide breadth of industry experience working across a broad range of project typologies and scales. 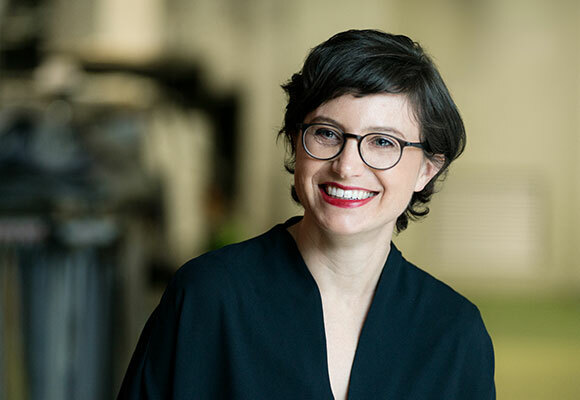 With a keen interest in delivering high quality and evolutionary education buildings where design excellence and economic mindfulness go hand in hand, Laura thrives on the collaborative process of navigating the relationship between space and learning pedagogies. Laura is known for her good judgement and planning, being equally experienced across all phases of a project from concept design through to implementation. Highly regarded for her excellent communication skills, Laura has developed strong and ongoing client and consultant relationships, confidently guiding clients and stakeholders in a genuinely collaborative and consultative manner, while always staying on top of a project’s finer details. 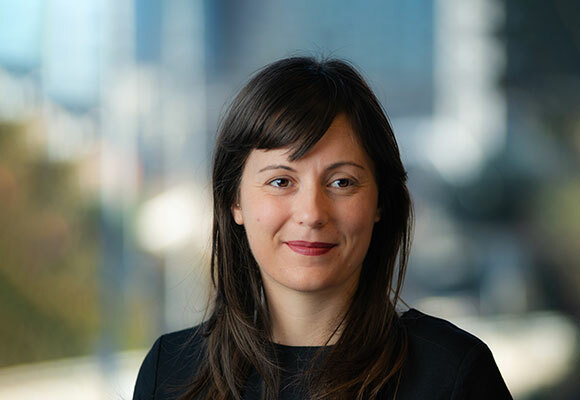 To further develop her skills as a leader in the architectural profession, Laura participates enthusiastically in industry initiatives, including the Property Council of Australia’s 100 Women in Property program. 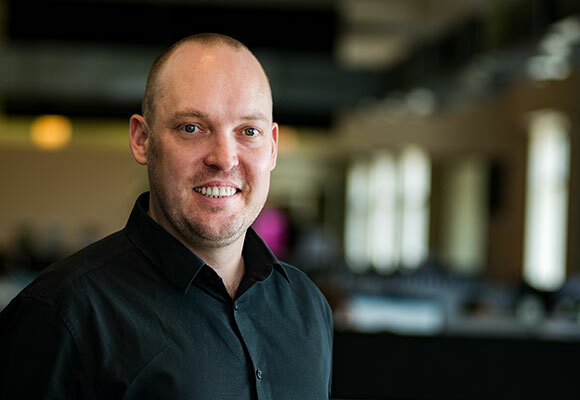 Trained as an architect, Geoff is energised by the constructed complexity that surrounds our lives. He also has a diploma in music and knows that skipping a beat can spoil an otherwise great composition. It’s about a disciplined process as much as the finished product. Geoff works closely with business manager Cameron Frazer and senior associate and quality manager Anthony Apolloni on tools that help our designers maximise time on design development and quality. To that end, he is developing an innovative framework to efficiently manage our client, contractual and legislative obligations, such as the increasing demands of Work Health and Safety. “As QM Leader, I want people to be happy with their work processes and excited about their creative opportunities at the same time”. The beneficiaries will always be the client and the community.